With CETA signed, protest groups in Wallonia and beyond will surely cry foul at the way the region was coerced into standing down. What is surprising, however, is that they are not the only ones who feel cheated, writes Reinout van der Veer. Reinout van der Veer is an MSc. and PhD candidate in Political Science at Erasmus University in Rotterdam. EU politicians backing CETA are publicly fretting the way in which those opposing CETA disregard the ‘facts and evidence’ on the benefits of the landmark trade agreement between the EU and Canada. After signing the agreement, President of the European Council Donald Tusk, said “post-factual reality and post-truth politics pose a great challenge on both sides of the Atlantic”. Commission President Jean-Claude Juncker was ‘vexed’ over accusations that CETA would lower labour standards, amongst other issues. Indeed, Western politics seems confronted with an ever-increasing presence of post-truth politics. Publics appear increasingly susceptible to the provision of misinformation, appeals to ‘irrational’ emotions and suggestions at conspiracy theories by politicians from political parties at the fringes. Donald Trump’s US election campaign is a notable example of post-truth politicians, but EU examples include Poland’s Law and Justice party (PiS), Farage and Johnson and their Brexit campaign and anti-immigration politicians like Geert Wilders in the Netherlands. But perhaps the most competent post-truth politician is found on the EU’s eastern border. 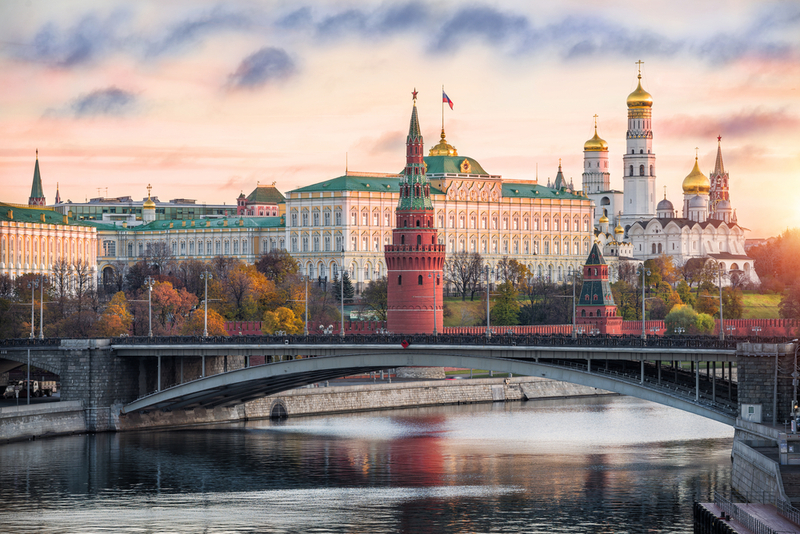 The Kremlin’s anti-Western propaganda campaigns have been so successful that last year the EU’s foreign service established a taskforce with the specific job of ‘correcting’ and ‘fact-checking’ Russian-spread misinformation and myths. The rise of post-truth politics is made possible by the growing disillusionment of Western citizens with their political institutions, politicians and policy makers and-perhaps-even with each other. New media such as Facebook, Reddit and Twitter are also enabling post-truth politics, as they allow anyone to publish stories and information but lack the quality controls employed by traditional media. The information overload present on these new media (and the algorithms underlying them) facilitate the creation of ‘echo chambers’, whereby one’s social media feed becomes dominated by news from a few complementary perspectives. A recent study by the Pew Research Center in the U.S. shed light on the astonishing fragmentation of political content on social media feeds and the resulting online segregation of Republican and Democrat voters. But we should not forget that the ‘truth’ in politics has always been political. Policies and political decisions can be informed by ‘facts’, but statistics can vary by their underlying operational measurements and formulas and in many cases multiple conflicting truths are present in political debates at the same time. Moreover and by definition, the costs and benefits regarding political and policy decisions lie in the future and do not become visible until decisions and policies are implemented. As such, even the best scientific predictions of these costs and benefits may prove unrealistic. Which truth comes out on top, then, is more dependent on the political priming, cueing and framing of evidence rather than its validity. Post-truth politics create a situation where Brexiteers like Michael Gove can credibly state that “people in this country have had enough of experts”. But to restore people’s faith in these experts, we do not require better evidence. Instead, we need better arguments. This proposition was put forward by Professor Nicholas Stern, author of the Stern Review that paved the way for the COP21 in Paris, in a public lecture on Growth and Sustainability at the London School of Economics on Thursday the 27 of October. In response to a question on how to respond to post-truth politics in climate change, Stern made a reference to the Pope, who “is a remarkable communicator. He said: ‘God always forgives, people sometimes forgive, nature never forgives. If we destroy creation, creation will destroy us’”. It is up to the EU’s politicians and policy makers to improve their communication strategies, and quickly. All the facts and evidence supporting their claims are worthless if they do not know how to capture public attention and credibly convey their message. If they don’t, future landmark EU projects like CETA and TTIP will only face more public contestation. Describing things as “post truth” underlines how out of touch the elites have become. Anyone who disagrees with their world view is misinformed. Anyone who speaks against them is lying. The truth is that half of society have lost out under the current “system”, and realising that the system cannot be reformed because the things that need to change to fix it come under the heading of “too difficult” for our politicians and institutions, they have quite sensibly decided that the only way to effect change is to “break” the current system. This article is full of muddled thinking ! The European people have become aware that the western media in both America and Europe is the source of Misinformation across the board . Truth being stranger than fiction , Americans and Europeans are turning to Russia Today , rt.com to reach nearer the truth in the news media . Truth in politics is as often as not a pack of lies , to convince people to support a political decision . Refering to quality controls employed by traditional media ; that means traditional meadia is subject to corporate or political control ; news stories must carry the slant that supports the political objective . Europe is now in almost total control of the US , all it needs is CETA and TTIP to complete the job as part of the New World Order . Many Europeans realise we are locked into a partnership with the wicked warmongering US , tied by foreign policy , NATO and now CETA ( and TTIP ). Europeans you are now the BAD GUYS tied to the US , made to participated in a spurious war against Assad for the benefit of Saudi Arabia and Israel . YOU ARE BEING LIED TO BY YOUR GOVERNMENT , THAT IS NO LONGER ITS OWN DECISION MAKER !!! I pray that CETA will fall by the wayside and that the EU will never sign up to TTIP .